Cast guests a line with personalized place cards and send them to their seats with your theme. 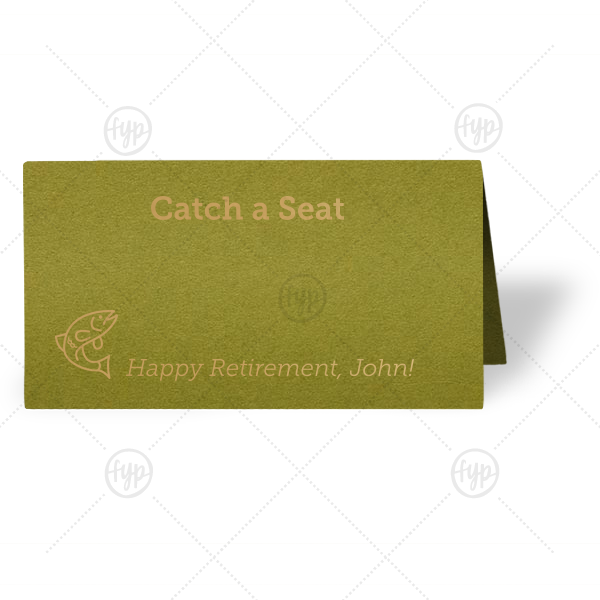 Our Fish graphic will go perfectly with the fishing theme of your retirement party. Stick with our Dark Olive paper and Gold foil, or choose your own colors.